Today�s workplaces are dynamic, so it shouldn�t surprise anyone that tension can develop quickly and ruinously. 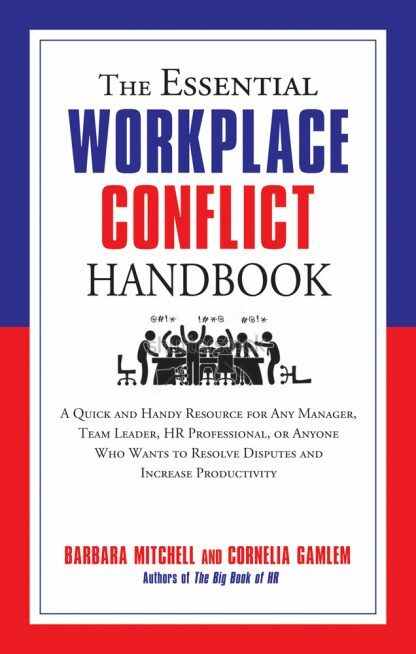 The Essential Workplace Conflict Handbook is the ideal resource for anyone ready to confront conflict at work rather than run from it. Managed correctly, conflict can be a positive source for innovation and creativity. What�s changing in the workplace and the workforce today? Are the right issues being addressed? How can we create more options to solve conflicts? What�s my conflict style, and why is it important? How should I set and manage expectations? What happens when disruptive behavior gets out of control? Positive interactions are critical to successful workplaces. This vital new title gives you the confidence you need to communicate effectively, as well as a clear understanding of your individual responsibility, no matter your title or role. It also gives the organization a plan for what it can do to foster a tension-free workplace.